I had posted on my blog a few posts ago about a package of cheese that I had received as a giveaway from Pam at For The Love Of Cooking. 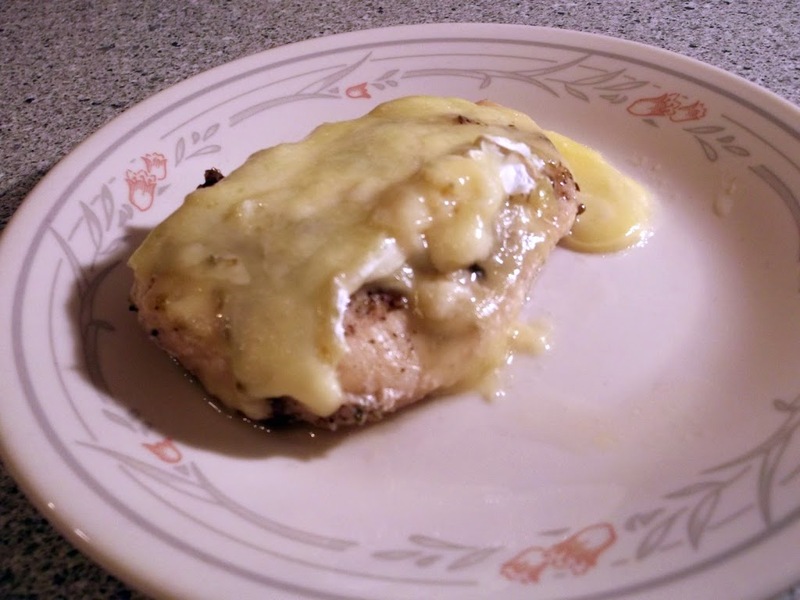 I couldn’t resist not posting this recipe that I made with the Brie cheese I had also received in the package. Brie is another cheese that I had never cooked with before, so I was anxious to find something that would be tasty and easy to make. I decided to try a recipe that I found on allrecipes.com. It was simple and fast, which made it a great recipe to make in the evening after a long day at work. I also believe that it would be a great recipe to make after the holidays are behind us and we have stuffed our face with all the goodies that we eat during this time. This recipe called for beer or dry white wine which was used to bake the chicken in. Since I did not have any wine, I used the beer. The beer left the chicken very moist and flavorful. I am sure that the wine would have been equally as tasty. So after the holidays if you need a break from the left over ham or turkey or whatever you prepared for your holiday dinner I hope that you will give this recipe I try. Also I would like to thank the people at Ile De France for sending me the wonderful cheese, cheese dome, and knife. My family and I have truly enjoyed trying all of the cheese that were sent to me. 2. Pour the beer or wine into a glass baking dish large enough to lay out chicken. Season the chicken with salt, peeper, and oregano on both sides and place in dish. 3. Bake for 30 to 40 minutes in the preheated oven, or until juices run clear. 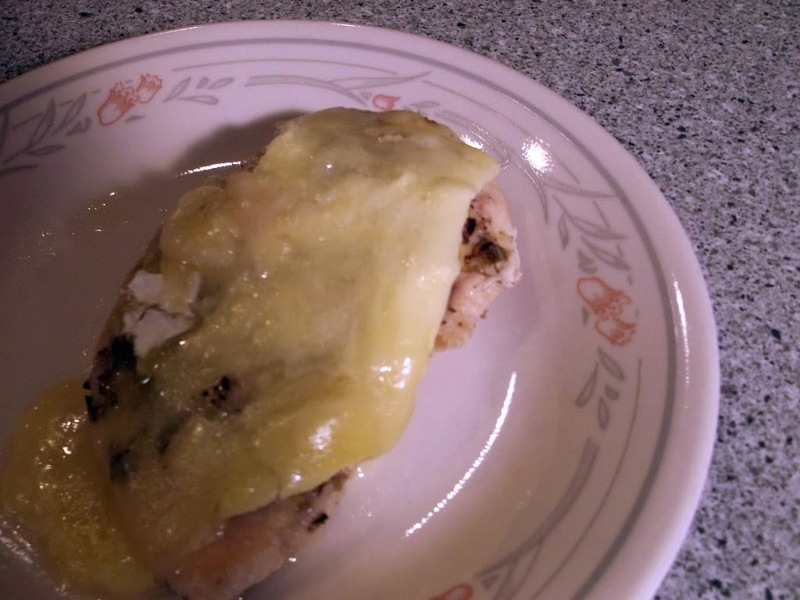 While the chicken is baking, slice Brie with the rind into 1/4 inch slices. 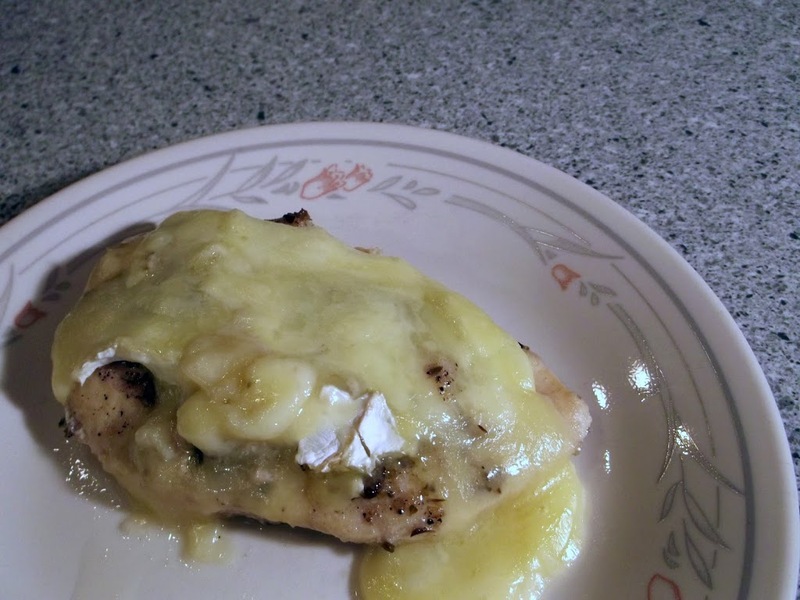 When chicken is done, place slices of Brie over the top. Return to the oven for 3 to 5 minutes, until cheese is melted. Many thanks for taking part in Frugal Fridays! I love brie, it is so so good melted! What a great easy recipe, and it looks impressive!